Update: Check out the live demo! 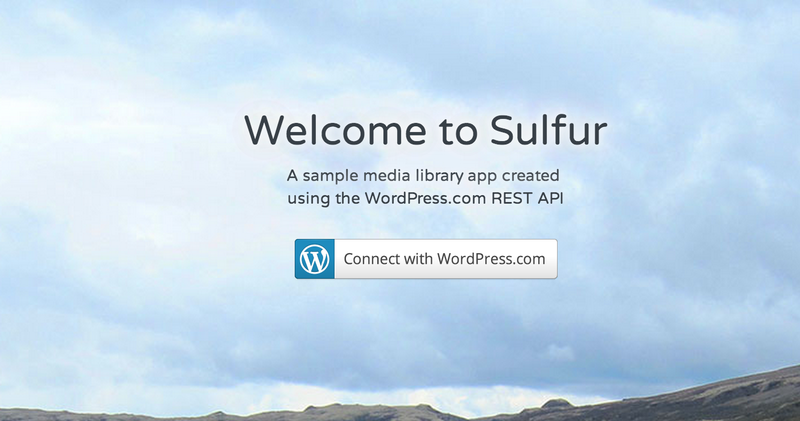 Sulfur is an app built using Backbone, Underscore.js, Plupload, jQuery, MomentJS, Bootstrap, RequireJS, and the WordPress.com JSON REST API. It shows how you can use Implicit OAuth to do authentication without a server component. It also provides examples for using the API with Backbone and third party libraries like plupload for uploading media. 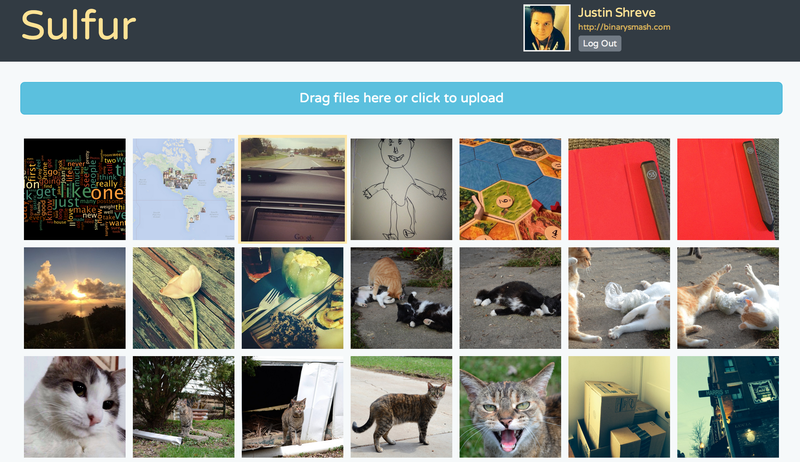 Sulfur allows you to upload images, view your entire media library contents, view meta data, and delete images. All the code is open source. Check out Sulfur on GitHub. We learned a lot while building the app and hope to use that knowledge to improve our APIs both for internal and external use. This entry was tagged APIs, Backbone, Bootstrap, CORS, Implicit OAuth, JSON, OAuth, plupload, Sulfur, Underscores. Bookmark the permalink. Reblogged this on WordPress.com VIP. I love these specialty flow apps being built on the WordPress.com JSON REST API. An API is in the works for core WordPress. I’ve been cajoling people to build a “Hello Gallery” webapp on both APIs that multi-select uploads straight into a gallery post with an optional title. That’s it. Anyone? Amen to that, Ryan. I’ve been looking for a good quick-and-dirty mobile app to upload photos and build WP galleries quickly. Thanks for this great app which inspires me to write GiphyStock, https://github.com/gedex/GiphyStock.